Real Customer Testimonials – check out more on our Testimonials page! “I have to say Adhesadent is amazing! I’ve tried powder, pads, and the other adhesives and none compare to the hold of Dr. B!!! I just placed my order for the whole kit! 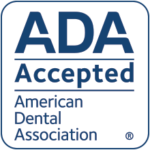 Again, thank you for changing our denture wearing lives!” Danielle T.
“I’ve heard so many good things about your products. I’ve tried just about every brand and most are just sitting there collecting dust. When I saw people saying they’re replacing Secure with your products I had to come check it out. I swear people think it’s the holy grail of adhesives, so that speaks volumes to what you’ve created!! Tiffany D.
Thoroughly brush away any remaining adhesive and/or food with Cleanadent Paste and rinse thoroughly with warm water. Apply three short strips, evenly spread. Keep strips away from edges. Use only the amount necessary, more than necessary will reduce hold. A few trials should indicate the proper amount and the best placement of strips for your individual needs. Clean and rinse mouth with warm water before inserting dentures. Mouth must be clean and moist prior to placing dentures in mouth. Press dentures in place and bite down gently but firmly for 20 seconds while cream sets. When removing dentures, thoroughly brush denture and gums with Cleanadent™ Paste and rinse thoroughly with warm water. 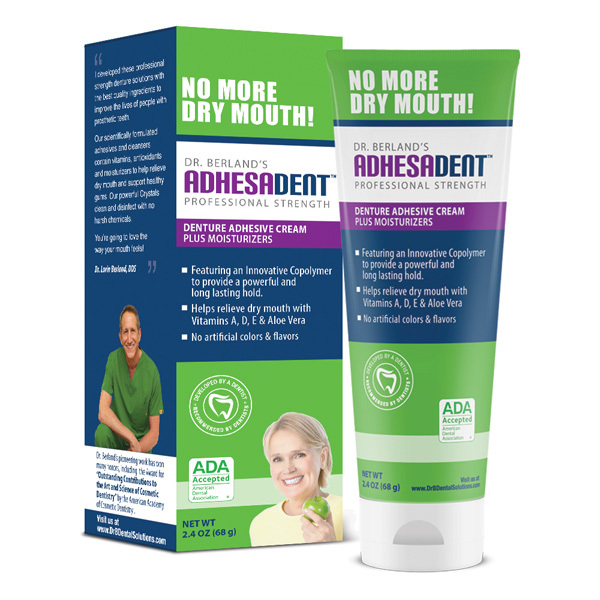 To prevent Oral Thrush, Stomatitis and Pneumonia, soak the denture with Cleanadent Crystals to fully kill pathogens and follow the instructions on our Cleaning Tips page. “You made a good product and very comfortable in my mouth. Thanks ” Musa A. Bob seems to really like your denture stick-um !